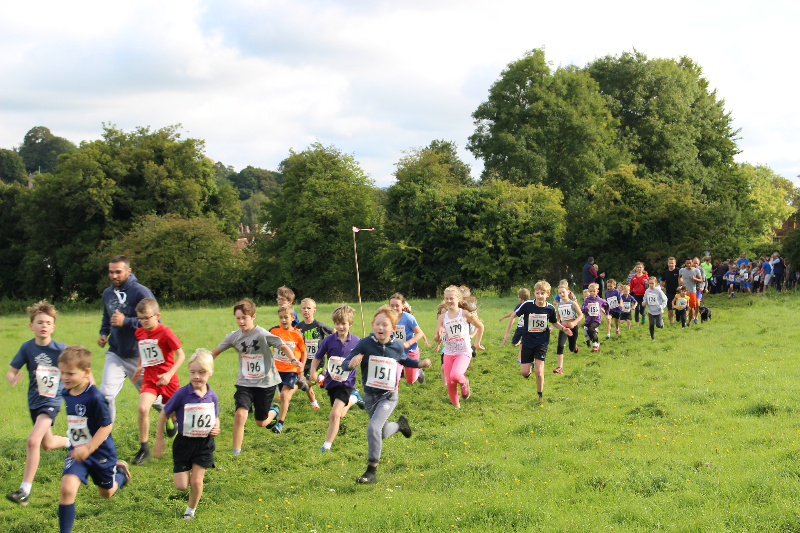 ​The Hilly 2018 returned on 22 September for the 4th and biggest event so far with well over 100 children competing in the Mini Hilly 1k and 2.5k races, and more than 100 adults running in the 10k. 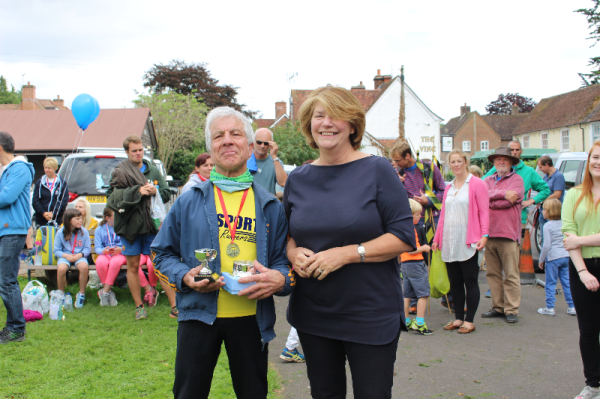 This year, the Hilly awarded more trophies by age category and this included a new trophy in the 60+ category donated by Bella Birdwood in memory of her wonderful husband 'Fluffy' (Gordon), who completed the race in 2016. 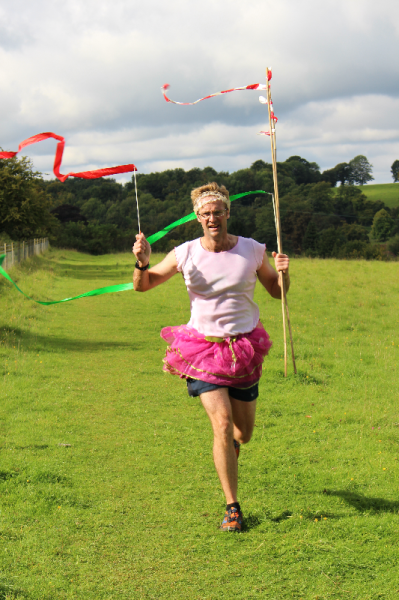 The Mini Hilly was an especially wonderful sight with so many children running around the challenging course up on Speltham Down where John Fox-Robinson donned his Hawaiian coconut bra and grass skirt as the designated race pacemaker. 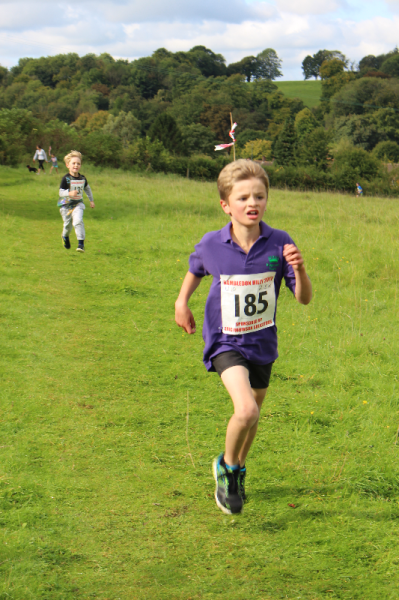 In the 10k race for those aged 15 and over, we had a course records in the men's race. Julian Manning defended his crown again in 36:48, carving out an even greater gap between him and the rest of the field. 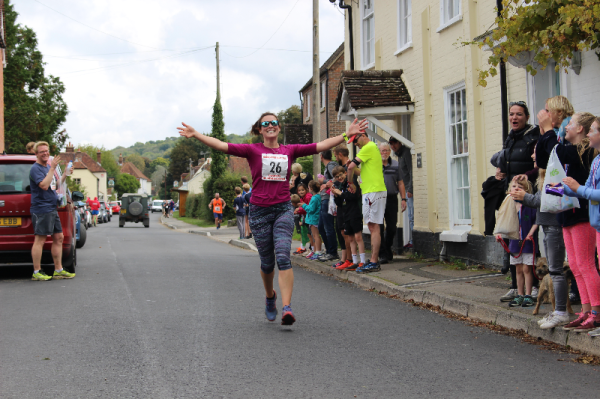 The Friends of Hambledon laid on the fabulous post-race merriments at the Village Hall race HQ. 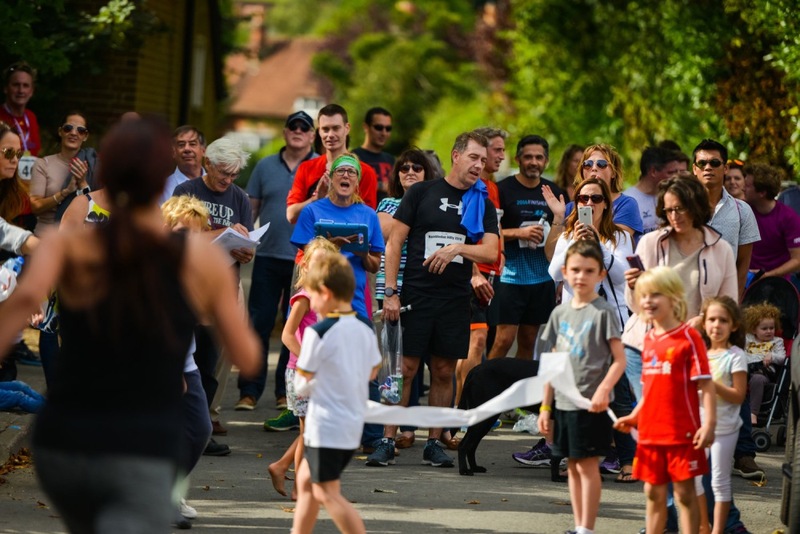 Moreover, a big thank you to the many volunteers and race marshalls that gave up their time to help the Hilly run so smoothly. 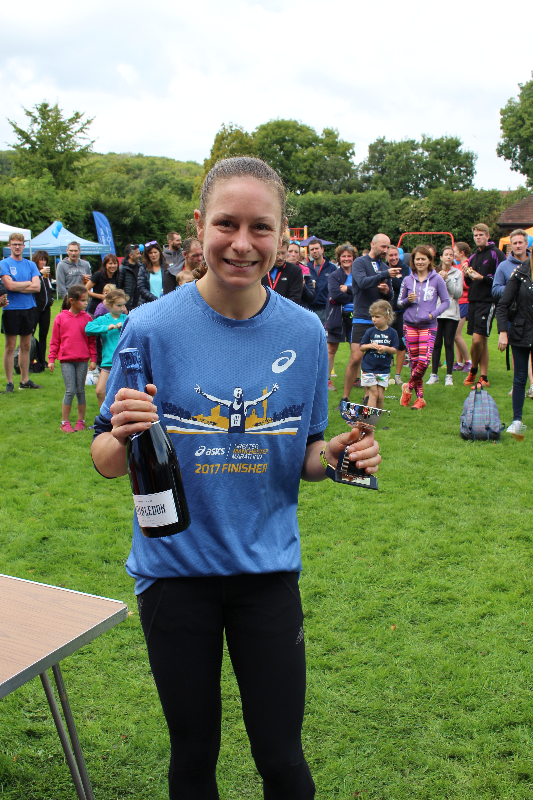 A final thanks to our anchor sponsor de Mellow & Co Wealth Management and support sponsors RB Pilates, Hartridges and the Hambledon Vineyard. In June 2015 my daughter had her 7th birthday party. 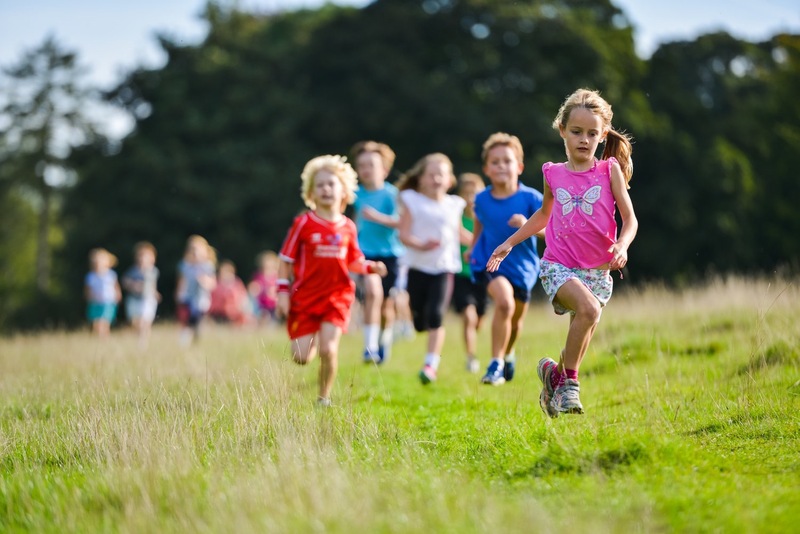 As usual the kids had some relay races followed by the dads. A cheer went up when I lined up with the dads. Embarrassingly I took part. 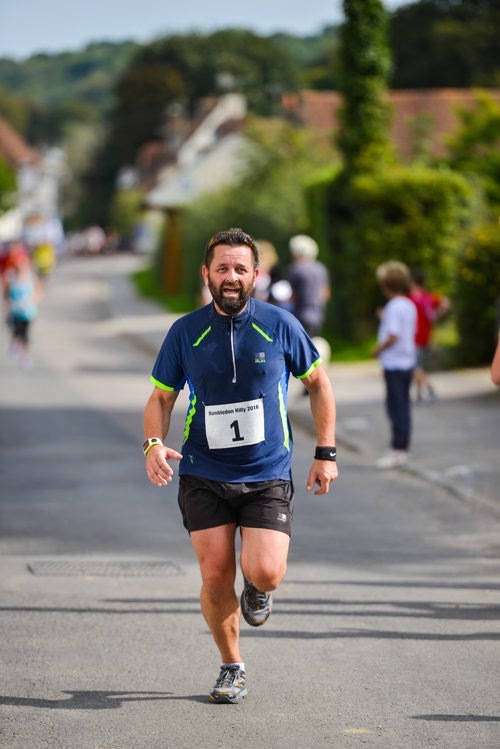 I knew I was too unfit to do a kiddie relay race because of my inactivity since leaving a very active army life behind in 1997. I decided there and then a change is needed. Joe told me about the Hilly and said just to do as much or little as I could fit in initially. 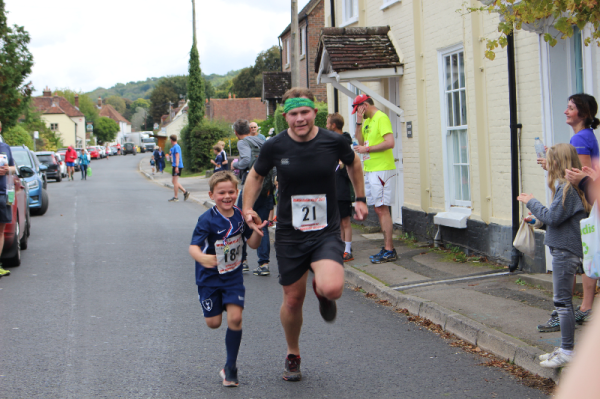 In September 2015 I ran my first ever timed race in Hambledon and finished in a respectable 57 minutes! My life has restarted. 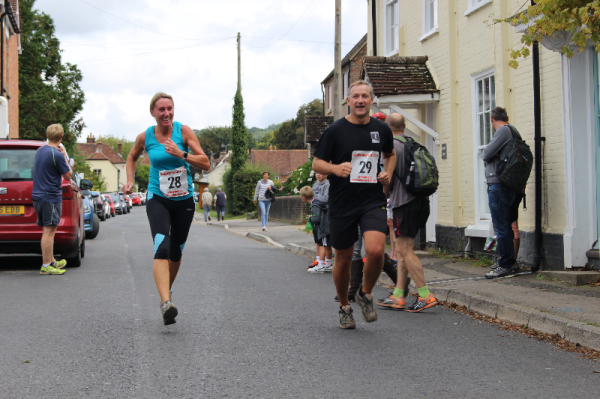 I am now doing a number of races per year and have completed all the Hillies so far. I still ache a bit but now it is for the right reasons!